Technology « Global Market Insights, Inc. 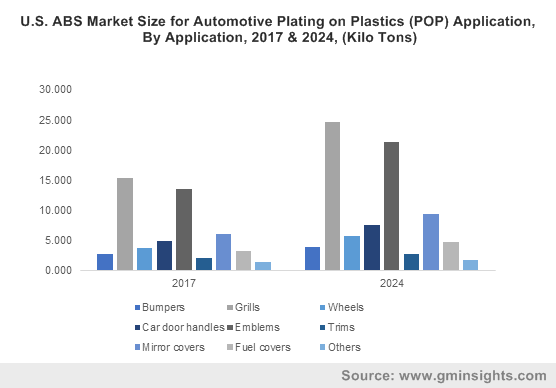 The ABS market for automotive plating on plastics application has, of late, been experiencing appreciable growth on account of the product utilization in manufacturing automotive grills. Essentially used in automotive systems including front grills, radiator and air conditioning, these grills form a pivotal component of the deployment spectrum of the ABS industry for automotive POP application, owing to the product’s durability and high corrosion resistance. An influx in the implementation of quality standards in automobile manufacturing has been observed lately, in order to increase passenger safety. Owing to the beneficial attributes of ABS, which includes element rigors withstanding and chemical resistance, the demand for this product has only been increasing in automobile component manufacturing, which will gradually propel the growth of the ABS market for automotive plating on plastics application. Moreover, supportive initiatives from the governments worldwide, pertaining to the utilization of ABS will further steer the growth of this industry in the years to come. Say for example, the FDI policies implemented by the Government of India have been helping several foreign automotive industry players in establishing manufacturing units in India, thereby boosting domestic production. Given the low labor and production costs, the manufacturing of automobiles in the region would gradually help boost the India automotive industry, the impact of which would be marginally felt across the regional ABS market for automotive plating on plastics application. As a matter of fact, the India ABS industry size for automotive plating on plastics application has been touted to register a CAGR of 7% over 2018-2024. The global ABS market trends for automotive plating on plastics application have been touted to thrive successfully in the years ahead, on account of the broad application spectrum of the product in automotive component manufacturing. 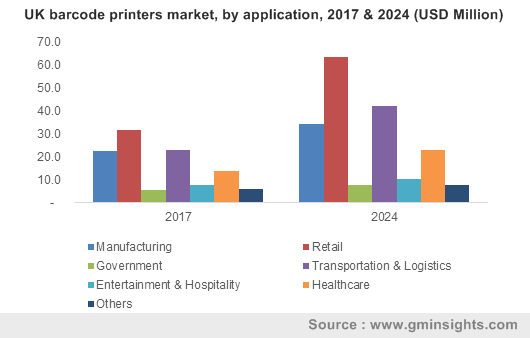 The paragraphs below offer a precise gist of the application landscape of this industry, that would help justify the remuneration that the global ABS market for automotive plating on plastics application is estimated to garner by 2024. The deployment of ABS in wheel production is expected to majorly propel this industry in the years to come – indeed, wheels are anticipated to emerge as one of the most lucrative application avenues for the ABS market for automotive plating on plastics application. Citing a regional instance, driven by heavy investments, the tire industry in India contributed to around 3% of the manufacturing GDP, while the whole automotive sector accounted for 7.1% of the GDP and about 49% of the country’s manufacturing GDP in FY 2015-16. This inherently proves that tire manufacturers in India are on the verge of modernizing their production methods, powered by the demand and supply graph, which has been found to have a direct impact on automobile sales. The trend has indeed been found to have a global presence, indicating that the demand for ABS to be used in wheels will only serve to increase in the years ahead, majorly driving the overall ABS industry for automotive POP application from wheels. The latest trends in the automotive space also include an extended focus on better traction and low rolling resistance to increase on road performance and fuel efficiency, and inclusion of more radials that consume less fuel. This has necessitated the incorporation of several advancements in tire manufacturing, driving the ABS market size for automotive plating on plastics application from wheels. As per reliable reports, the demand for ABS in emblem manufacturing is forecast to consistently increase in the years ahead. Quite overtly, this growth could be accredited to the massive expansion of the automotive industry that has been demanding enhanced emblems of late, pertaining to changing consumer demands. Given that these components are basically deployed by automobile manufacturers to showcase the brand logo and attract a wider consumer base, it has become vital to ensure high-grade aesthetics and advancements in product design and development. Several global emblem manufacturers like Elektroplate, Billet Badges, and more, are found to have been engaged in designing and manufacturing custom badges and emblems. This has consequently surged the demand for ABS for POP application given the attributes of ABS such as a glossy finesse, light weight, and easy adherence to metal. As per estimates, the global ABS industry share for automotive POP application is anticipated to register a CAGR of 6% over 2018-2024. Endorsed by a broad application terrain, the ABS market for automotive plating on plastics application is estimated to showcase a highly profitable remuneration graph in the upcoming years. As per estimates, the valuation of ABS market for automotive plating on plastics application would cross US$2 billion by the end of 2024. This entry was posted in Polymers and Advanced Materials, Uncategorized and tagged ABS Market for Automotive Plating on Plastics, ABS Market for Automotive Plating on Plastics (POP) Application, ABS Market growth, ABS Market report, ABS Market Share, ABS Market Size, Acrylonitrile Butadiene Styrene Market, Automotive Acrylonitrile Butadiene Styrene Market, Automotive Plating On Plastics Market, Competitive Analysis, End-user, Forecast, Growth Trends, PDF Report, Plating on Plastics Market, Potential, Price, Share, Technology. Global precision farming market share, over the recent years, has been witnessing meteoric rise owing to the laudable initiatives undertaken by regional governments to combat declining agricultural productivity. The farming sector has perpetually been marred with several challenges including a marked increase in the cost of production, restricted employment opportunities, fragmented land holdings, degrading and diminishing natural resources, etc. Moreover, the rapid pace of urbanization and the burgeoning population has further aggravated and contributed toward further deterioration of the farming sector which already is in shambles. In order to tackle these massive impediments, the farming community across the world is now gradually incorporating numerous advanced precision tools in their farmlands to accomplish various objectives such as greater sustainability, realize higher financial benefits, and to lower environmental harm. Apparently, as a consequence of the aforementioned aspects, the overall precision farming industry size is bound to record commendable growth in the forthcoming years. In fact, as per the statistics noted in the recent study conducted by Global Market Insights, Inc., the precision farming market is estimated to register a striking y-o-y growth rate of close to 14 percent over 2017-2024. Elaborating further, it is quite prudent to mention that the foremost stakeholders of the precision farming industry have been focused on leveraging the prowess of advanced technologies such as big data and IoT. These technologies have proved to be of immense help to obtain precise insights of farming situations which would further aid in better forecasts about agricultural outcomes. Citing an instance to affirm the efficacy of the aforementioned statements is the participation of Israel based precision farming industry giant Evogene in a consortium sponsored by Israel Innovation Authority. As has been reported, the consortium consists of a dozen precision farming industry players and universities which would aim to develop plant phenotyping technologies by deploying comprehensive artificial intelligence algorithms and big data. The real-time analysis of this data is likely to assist farmers in dealing efficiently with unpredictable crop season and enhance systems and tools for precision agriculture. Apparently, it goes without saying that the global precision farming market, which held a total valuation of over USD 3.4 billion in 2016, would scale up in a big way owing to such encouraging R&D initiatives and partnerships over the ensuing years. Speaking of the prospective growth of the precision farming industry, US is likely to emerge as the strongest contender due to its swift adoption of progressive technologies in the farming sector. The well-developed infrastructure and presence of supportive government policies would further assist in rapid product penetration in the nation. For instance, one of the chief federal agencies of US Department of Agriculture, the National Institute of Food and Agriculture (NIFA), has unveiled a precision, geospatial, and sensor technology program to deliver decision tools that would enhance management capabilities of enterprises partaking in precision farming industry. The program would reportedly address problems such as narrow profit margins and rising global competition in the farming sector. Furthermore, the initiative intends to judiciously monitor, measure, and micromanage the existing resources to accentuate efficiency and increase farm incomes of the producers, processors, and the overall farming community. Therefore, it is quite undeniable that the remedial measures undertaken by the government would revive the fortunes of the US precision farming market in the forthcoming years. Apart from government initiatives, numerous major US based precision farming industry players have been releasing cutting edge products to retain their preeminence in this highly combative business space. For instance, Illinois headquartered Precision Planting recently launched a total of 3 new products in the precision farming market. The firm has released a 20|20 monitor which offers an advanced agronomic picture which enables farmers to optimize planting and harvest decisions with a smart interface. The second product is named as SeederForce, which is a progression automated downforce control system utilized in the air-seeder market. The third product on the list is a multi-hybrid planting system that allows for two hybrids to be planted in a single field by deploying a meter with a seed selector and a dual compartment hopper. Despite management of data being one of the major hindrances to the growth of this business space, the application matrix of the precision farming market has encompassed weather monitoring, financial management, field monitoring, waste management, yield monitoring, irrigation management. 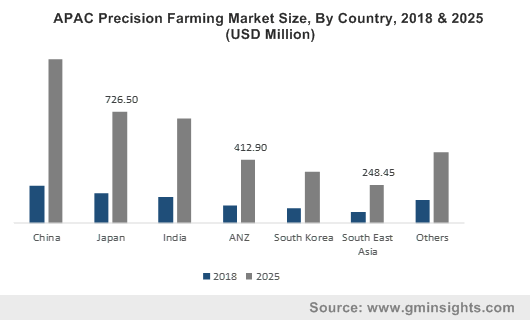 As the application scope of precision tools increases in the ensuing years, the precision farming market is projected to observe an exponential growth rate, with a target revenue estimation in excess of USD 10 billion by 2024. This entry was posted in Sustainable & Smart Technologies and tagged Automated Steering System, Camera, Consulting, Drones, Europe Precision Farming Market, Field Monitoring, Financial Management, Geomapping, Global Navigation Satellite System, Global Positioning System, Global Precision Farming Market, GNSS, GPS, High Precision Positioning System, Integrated Electronic Communication, Integration, Irrigation Management, Maintenance, Managed Services, Mobile Device, Precision Agriculture Market, Precision Farming Market, Precision Farming Market Growth, Precision Farming Market Report, Precision Farming Market Share, Precision Farming Market Size, Remote Sensing, Technology, Training, UAV, Updates, Variable Rate Technology, VRT, Waste Management, Weather Monitoring, Yield Monitoring. 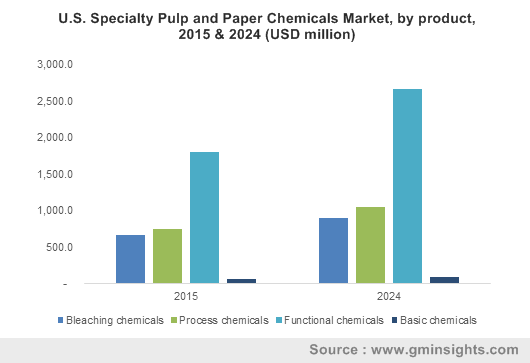 This entry was posted in Bulk & Specialty Chemicals and tagged Applications, Competitive Analysis, Forecast, Growth Trends, PDF Report, Potential, Price, Share, Specialty Pulp And Paper Chemicals Market - Global Specialty Pulp And Paper Chemicals Industry Size, Technology. High urge for reliable power supply along with strict legislations to curb the release of GHG in the atmosphere will push hybrid solar wind market growth. Moreover, favorable government policies encouraging the use of renewable energy along with strict regulation executions for reducing power consumption is expected to positively influence the industry growth. According to a report by Global Market Insights, Inc., “Hybrid solar wind market value is forecast to hit USD 1.47 billion by 2024.” Furthermore, declining manufacturing costs of the components such as wind blades, solar panels, and wind turbines are expected to contribute considerably towards the market growth. Hybrid solar wind systems find key applications across industrial, residential, and commercial sectors. High requirement for continuous electricity supply is anticipated to drive the hybrid solar wind industry revenue across the commercial sector. Hybrid solar wind market size in industrial sector worth USD 224 million in 2015, is anticipated to witness a significant growth over the coming years. Government efforts to minimize carbon emissions is expected to drive the growth. 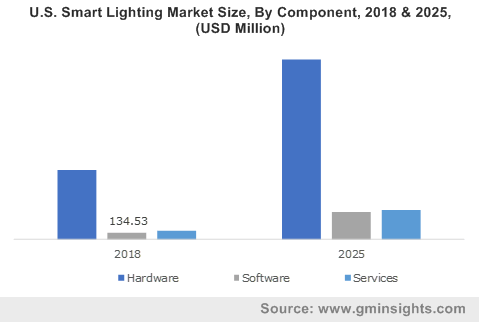 The rise in the number of electrification programs across the emerging economies, primarily concentrating on decentralizing the power generation, will boost the industry growth across the residential sector. Standalone and grid connected are the major products through which hybrid solar wind systems are deployed. Grid connected hybrid solar wind industry size is expected to record a CAGR of 10% over the period of 2016-2024. Net metering, low deployment costs, and feed in tariff are the key growth drivers. 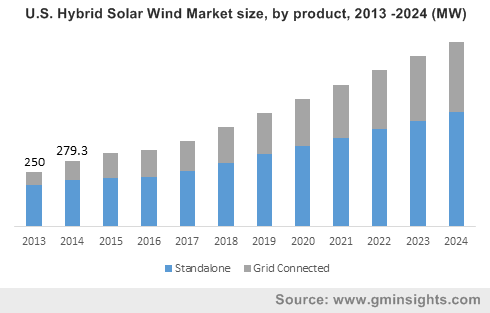 Standalone hybrid solar wind market revenue is expected to grow significantly over the coming years, owing to its cost-effectiveness as compared to grid connected products. Growing investments across renewable energy projects is projected to drive Australia hybrid solar wind industry size over the next few years. The government of Australia has allocated USD 1 billion funds for clean energy technology projects. Chile hybrid solar wind market revenue is anticipated to grow at a rate of 11% over the period of 2016-2024. Shortage of power supply and high demand for off grid electricity will favor Nigeria hybrid solar wind industry outlook over the next few years. South Africa hybrid solar wind industry revenue is expected to hit USD 12 million over the coming timeframe. Government policies encouraging the use of sustainable energy along with rural electrification programs are expected to boost India hybrid solar wind market trends. U.S. hybrid solar wind industry will grow considerably over the coming years, driven by heavy focus on consumption of renewable energy along with beneficial government policies supporting energy conservation. Market participants will try to enhance their ROI through product differentiation as well as technological innovations. Key industry participants include Blue Pacific Solar Product Inc., Alpha Windmills, Alternate Energy Company, ReGen Powertech, Unitron Energy System Private Limited, Polar Power Inc., Zenith Solar Systems, Gamesa, Grupo Dragon, and Supernova Technologies Private Limited. This entry was posted in ENERGY, MINING, OIL AND GAS and tagged Applications, Competitive Analysis And Report, Forecast, Growth Trends, Hybrid Solar Wind Market - Global Hybrid Solar Wind Industry Size, Potential, Price, Share, Technology. Shifting consumer focus towards the renewable energy sources, mainly wind energy will stimulate permanent magnet market share over the coming seven years. According to Global Market Insights, Inc., “Worldwide permanent magnet market is estimated to surpass a revenue of USD 50 billion by 2024, registering an annual growth rate of more than 10% over the period of 2016 to 2024.” AS per the study by Global Wind Energy Council (GWEC), annual installation of the windmill will increase over 75GW capacity by 2019, which will boost the demand for global permanent magnet industry significantly.Moreover, climatic discussion at UNFCCC’s Cop 21 announced that, by 2050 all power generation should be emission free, which will fuel the requirement of wind energy projects thereby, the surging need of the magnet will drive the permanent magnet market trends notably. Furthermore, rising R&D investment to develop new and superior quality magnetic material is expected to boost the industry demand. 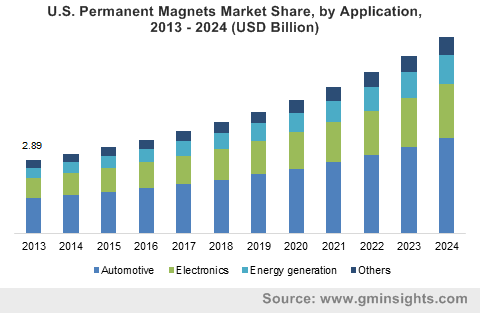 This entry was posted in Polymers and Advanced Materials and tagged Applications, Competitive Analysis, Forecast, Growth Trends, PDF Report, Permanent Magnet Market - Global Permanent Magnets Industry Size, Potential, Price, Share, Technology.